Until recently, for the last 20 years or so, I have celebrated Australia Day at my home with a group of my friends. As part of the entertainment, I would compile a short quiz on a particular Australian theme: bushrangers, prime ministers, Australian poets, prominent Australians, place names, and so on. Intentionally, I made sure I referenced both male and female Australians, and that I avoided topics of sensitivity to my friends, perhaps because of political or religious sensibilities. In the last few years, this practice has fallen away, as we aged, and I downsized into a smaller villa. Perhaps it is as well the practice came to an end. It would now be difficult to engage in those celebrations with the same simple pleasure. The realisation (belatedly) that the appearance of British boats on 26 January 1788 represents for our indigenous population ‘Invasion Day’ is a sobering thought. In this newsletter, we feature a number of recent articles reflecting on this reality. The commemoration of January 26 as Australia Day is completely wrong-headed. It is offensive to Indigenous Australians, as it symbolises their brutal dispossession and the destruction of their culture and community. It gives pride of place to the British empire, rather than recognise the distinctive Australian democratic achievement inaugurated on 1 January 1901. The determination to persist with 26 January is a definitive statement. It is our Declaration of Dependence. But there have been failures and remedial action yet to be taken. We are yet to be reconciled to our Indigenous brothers and sisters who watched the European boat arrivals in 1788. We are yet to take our share of responsibility for the displaced and persecuted people of the world. Political opportunism and the promotion of fear by conservatives holds us back from expressing the generosity we all possess. In my short quizzes featuring prominent Australians, I did not include the story of Mary Jane Cain. Even if I had, sadly none of my friends would have known of her. Heidi Norman tells the story of this impressive aboriginal woman, capturing well her attributes in the title of her article: Hidden women of history: Mary Jane Cain, land rights activist, matriarch & community builder. The 27th of May is the day that Australia voted to grant citizenship to our people, and to remove us from under the Fauna and Flora Act. The date related to the Australian referendum called by the Holt Government on 27 May 1967, which approved two amendments to the Australian constitution to remove discriminatory provisions against Indigenous Australians. It was passed with a ‘yes’ vote in excess of 90% “to remove us from under the Fauna and Flora Act”! 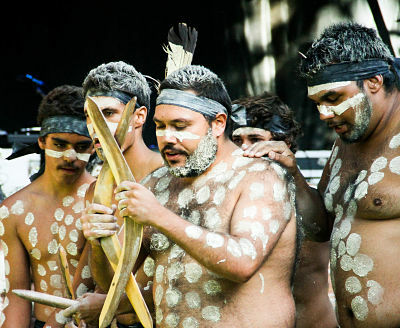 Whatever your own view might be, whether you hold firmly to the idea that Australia Day should continue to be held on 26 January, or whether some other day is to be preferred, there is need soberly and openly to discuss at a national level the fact that the day which sets out to celebrate our Australian culture and achievements is for our indigenous brothers and sisters a day reminding them of the lack of recognition for their culture and achievements. Let’s not relegate that conversation to the realm of culture wars, with entrenched positions focusing on how we would wish to see ourselves but let’s see the truth of where we are now as a nation.